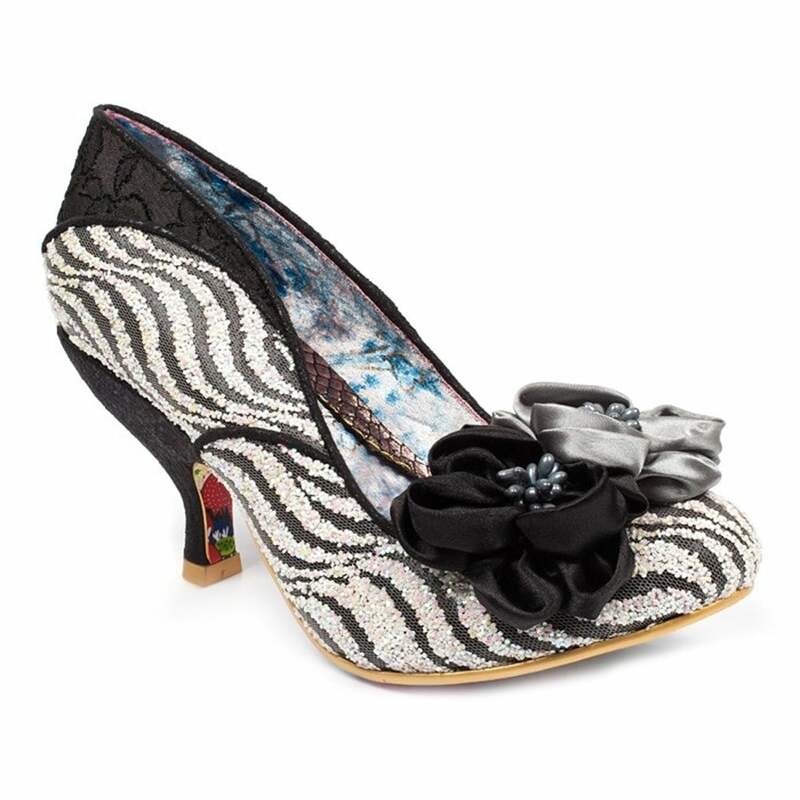 Little Peaches from Irregular Choice is definitely a shoe with the WOW factor! Dazzlingly and dainty, these statement shoes are a mid heel shoe with plenty of sass featuring a glittery upper and flower embellishments. Inside, the shoe is lined with a soft faux leather material carrying a pale blue floral print with a lightly padded rainbow and floral insole. Wearing these Irregular Choice Little Peaches 3009-26C Womens Court Shoes are enough to make anyone instantly fall in love.